Long before having children, I knew I wanted to raise not just a healthy eater, but an intuitive one. A child turned adult, who uses internal cues to guide eating and chooses healthy food as much for pleasure as for health. 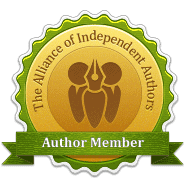 What I didn’t expect were the difficulties that would arise on this journey. But buried behind each barrier of raising an intuitive eater is a larger-than-life benefit. When you focus on the benefits, you won’t be able to imagine feeding your child any other way. But first, what is an intuitive eater? Individuals who eat intuitively are not preoccupied with food or dieting and do not label certain foods as “good” or “bad.” Although taste is important, they often choose foods for the purpose of enhancing their body’s functioning. They are aware of and trust their body’s internal hunger and satiety cues and use these cues to determine when and how much to eat. 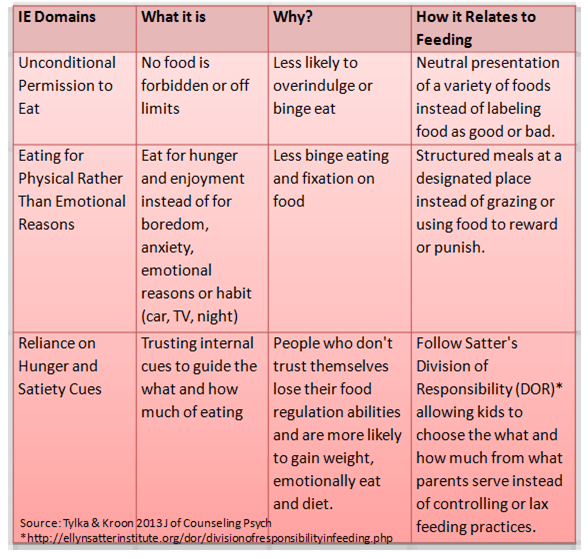 There are three key domains that encompass Intuitive Eating described in the chart below. The last column relates these domains back to parental feeding practices. 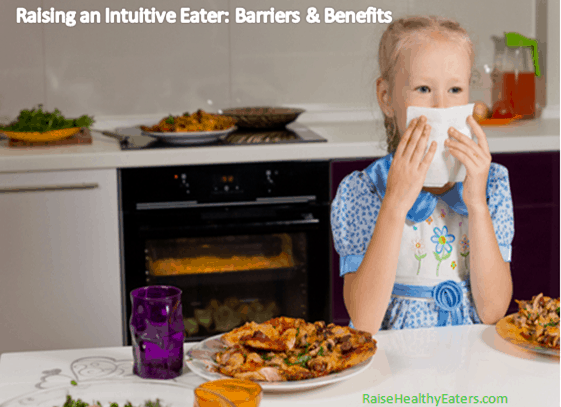 So with this in mind, here are common barriers and benefits of raising intuitive eaters. Barrier#1: Kids do not always eat the way you want them to eat. When kids are picky or slow to accept new and healthy foods, following DOR can be tough. And when you see other parents telling their kids what and how much to eat — and children follow suit — you can begin to question it all. Benefit: When you don’t interfere with your child’s eating, you get an honest snapshot of what they enjoy and choose from at the table. 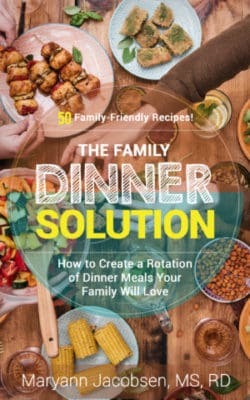 This information helps you find different ways to cook, expose, and present and talk about food so children can gradually eat more and different things on their own. Think of it as guiding a child instead of controlling them. Barrier#2: It’s tempting to use food as a parenting tool. On Yummy Mummy Club, dietitian Sarah Remmer wrote about why parents should avoid using food as a parenting tool. It can be hard to resist this because, well, food works. Promising a favorite food for good behavior or taking away gets kids to behave the way you want them to. Benefit: A recent study gets to why this is inconsistent with intuitive eating: kids may be more likely to eat in response to uncomfortable emotions. Young children (5-7) made to feel mildly upset (told they would not get a toy as promised) ate more snack foods when they had parents who used food as a reward or restricted their intake due to health reasons when they were 3-5 years old. When you notice your child eats for enjoyment and hunger and not for “being good” or to cover up uncomfortable feelings, avoiding the food-parenting tool trap becomes a no-brainer. Barrier #3. The amount children eat won’t always sit well with you. It can be hard to accept how much a child eats especially when they are smaller or larger than average. But let’s be honest, this can be challenging with any child! Many parents want to avoid kids being hungry at inopportune times or they simply can’t handle their eating a good amount of sweets…ever! Benefit: When you consistently offer food and allow kids to decide how much to eat, you will be amazed at how well they can regulate their food intake (the key word is consistent). One study using the IE scale with middle school children found those who scored high on intuitive eating had lower BMIs, less body dissatisfaction and pressure to be thin and were more likely to be satisfied with life. For more on the research on intuitive eating, go here. If you are worried about your child’s size, check their growth chart. If they have consistently fallen on the smaller or larger percentiles every year then trying to change that trajectory will be an uphill battle. 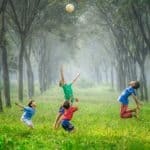 But if there are jumps in either direction, it may be time to get help from a pediatric dietitian. Barrier #4. It may go against how you feed yourself. In a study published in Clinical Pediatrics, mothers of 2 to 5-year-olds who relied on their own internal hunger and fullness cues to eat were more likely to allow kids to do the same. If intuitive eating is not consistent with the way you eat, it can be challenging to allow your kids to eat that way. 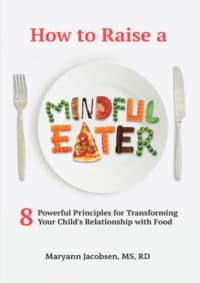 Michelle May, MD, author of Eat What You Love, Love What You Eat, was an overweight child, dieted young and struggled with food and eating into adulthood. She watched in amazement as her husband and two kids were able to regulate their intake with ease and not obsess about food. 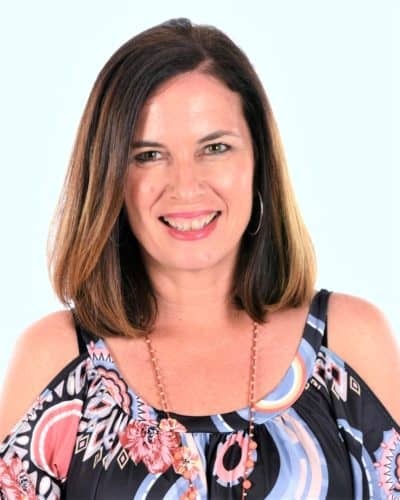 This inspired her to drop the dieting and trust herself with eating (what she calls getting back to “instinctive eating.” This approach was so freeing and effective that she dedicated her career to helping others do the same. Barrier #5. You will feel different in the way you feed. There’s little doubt that raising an intuitive eater will make you feel like the odd person out at times. You may get glaring looks from other parents or family members. Or you may start questioning yourself like in barrier number 1. Benefit: This barrier is really a benefit in disguise. The reason you feel different is that you’re trying to raise a child who eats differently. That’s a good thing right? While I hope that someday more people are aware of the benefits of raising an intuitive eater, it’s still not typical. Society is still more focused on what to feed kids than how. 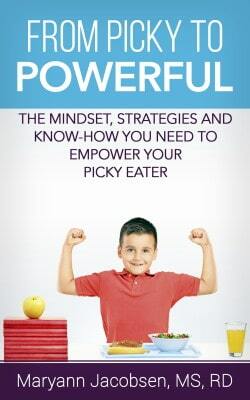 So tell me, what are your obstacles to raising an intuitive eater? Any you have overcome? I do think it gets easier over time. I used to feel really different when my kids were younger but as they get older that has lessened a bit. Don’t ignore junk food marketing as an obstacle to teaching kids intuitive eating. Thanks for the link and it’s good to see more people are recognizing education is necessary but not sufficient when it comes to children and food marketing. I did baby-led weaning, so until almost two, I’d say my son was a very good intuitive eater. But I didn’t find I could continue the same approach when toddler pickiness set it. If I left it up to him, he would never eat anything but his favorite item at any given meal. Also, don’t you think very salty and sugary foods overwhelm the child’s natural intuition because they are so intensely desirable to kids once they’ve been exposed to them? E.g., my son, who never had juice and drank water from a cup by himself as an infant, is extremely good about recognizing his thirst and drinking water when he needs it, and now at 3 he has no interest in juice when it’s offered to him, whereas his cousins who drank juice throughout infancy (largely because Grannie was always convinced they weren’t drinking enough and used juice to coax them to drink more – she tried to do the same with my son but I didn’t let her), won’t drink even when they’re extremely thirsty. The parents have to nag and bribe and force them to drink water. It seems to me that the lure of sweet drinks spoiled their intuitive sense of thirst, and I think the same happens with chips, candy, chicken nuggets, etc. How do you work around that? Thanks for your comment. As you allude to, it’s pretty normal for kids eating to become erratic at age 2. But over a weeks time, if you serve a variety of food, most toddlers meet their nutritional needs. I’m not sure how you get your toddler to eat balanced meals. Does it make the table a battle zone? I’m not so much concerned about the nutrients he’s getting now – I’m sure he’s fine as far as that goes – as about long-term habits, and not just for health reasons, but also because to be able to eat and enjoy what one is offered (or at least most of it) is an important part of being a civilized adult. Also it’s a big source of pleasure that is missed by those who can only enjoy hamburgers. 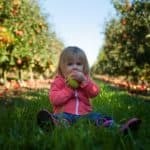 And I’ve seen too many kids – right up into the teens and twenties, honestly – that don’t eat anything but a handful of foods and are rude about delicious meals they’re offered to believe it’s just a phase that automatically passes with toddlerhood. I guess what concerns me is whether it’s okay for him just to fill up on his favorite items and ignore everything else: e.g., last night he ate several servings of meatloaf and one bite each of spinach and potato. I have no worries about that nutritionally (like I said) but I don’t him to have the habit of eating that way when he’s ten or fifteen. For instance, I’d like to say, “Well, you can have more meatloaf, but I’d like you to have a serving of something else first.” But then is that getting me back into battleground territory/over-riding his own instincts? Anna — You have to ask yourself how those kids who reject food at older ages have been fed. It could be that their parents catered to them (offered alternative meals) and never taught them manners. Research suggests that an authoritative feeding style is best in terms of outcomes. That means parents set the meals and timing but allow reasonable choice among kids. Being too controlling or lax is associated with worse eating habits. You child’s eating sounds really typical and just remember you have many years to guide him in the right direction. Also remember that food is new to toddlers and they tend to focus on what they like. Over time, as they become more familiar with food, they tend to eat more balanced at any given meal. Just don’t let fear get in the way of feeding your little guy. He sounds like a great eater who really enjoys food! I’ve pushed the rules of #2 a little, I’m wondering what you think. In a desperate attempt to find something that would keep my 2 year old twin boys to stay in their beds, they get a small treat or a milk straw if they do so. I wouldn’t say that it has even worked all that remarkably, being stern and consistent has seemed to make a bigger difference than anything, nevertheless they feel so proud of themselves when they get that milk straw with breakfast in the morning. What do you think? I also struggle a little with #3 and offering treats in an unlimited fashion occasionally. Sunday’s are always a family get together and I’ve decided to be hands off on that day and let my 5 year old and almost 3 year olds decided when they’re full. But through the week they’re offered junk food Nearly everyday from the bank or the grocery store etc and I feel like after all of that, sitting down to a big plate of cookies is too much. I don’t know, that one has been hard for me. I hate making a meal knowing that my kids will enjoy it but if I offer rolls along side it, they’ll eat nothing but rolls. Finally, through this process, I have learned a lot about feeding myself as well. I’ve really grown and taken from kids example to eat until I’m satisfied. It really works. I’m not scared of fattening, high calorie foods anymore and that is such a freedom to me. Sorry late to respond Marci — glad to hear the changes have rubbed off on you. As for #2: as long as its something you do just to get through a transition but not something they will get everyday that’s different. When Little D was on the 3-day to potty training plan, I broke down and gave him M-n-Ms just to keep his diaper on. After that day he was hooked and I never rewarded him again! Thank you for this post! I have a 15 month old daughter that is consistently moving up on the percentile charts. A few people have commented on her weight and the way that I feed her. Someone close to me has suggested that I start restricting her food intake. My daughter is not a picky eater and there are very few foods she doesn’t like, although some days she prefers certain foods over others. I guess the biggest obstacle for me at the moment is avoiding the judgements of others when it comes to my daughter’s weight. It breaks my heart that at 15 months old she is already being judged for her size. I caught myself caring about what other people thought and wondering if I should start restricting her portion sizes. I have been learning to eat intuitively over the past year, and I want to teach her to do the same. I definitely don’t want to restrict her foods or portion sizes! My little one’s doctor isn’t concerned about her weight. I am working on not letting the opinions of others get to me, I definitely don’t want to teach her to worry about what other people think. Thank you for this article. 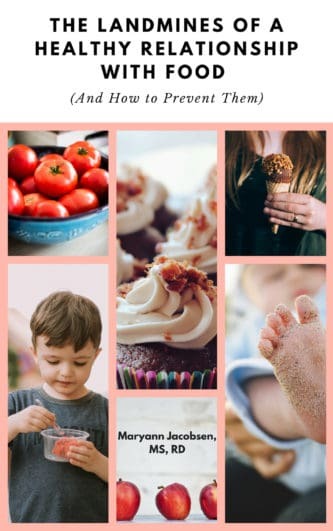 Being an intuitive eater is something I really want for my children, I want their relationship with food to be so much better than mine was for many years. I struggle with the first barrier the most, to the point where my in laws sneak foods into our home and use the food as reward to counter our choices around eating and food choices. Eating is a struggle for my son already, he has Celiac disease and a number of food related allergies as a result (dairy, latex foods); as well he is 4 and still in that difficult stage where what he will eat changes from day to day and he is just starting to understand his dietary restrictions and needs. I don’t want eating to be stressful for him but I admit to feeling stressed largely as my in laws are also our child care providers and simply do not follow the menu plans I leave. I am working with a fantastic RD as our son’s weight went from 85th to 50th percentile this past year as a result of having had to remove so many healthy fats and his current eating preferences. But I am finding would benefit from some support to push through. Are there on line supports groups that you are aware of? Thank you for your time. Thanks Cinnamon. Are you looking for food allergy support groups? My daughter is 18 months old and her eating preferences change from day to day. I just keep putting different fruits and veggies on her plate and hope for the best. She just recently decided that she likes blueberries! This is so interesting and I am so happy I stumbled across this…. I do have a question; is it wrong to feed your child some of the same things over and over? My 2 year old used to eat so well and now she has become really picky. She’s my veggie eater while my 1 year old son is the fruit and smoothie eater. I just feel that my 2 year old isn’t eating enough and I used to do the one more bite thing but I had to make myself stop. Is it also bad to let her let me know when she’s hungry. Usually I’d set the table she wouldn’t want to eat so I let her play and about an hour later she’d open the fridge because she wanted to eat. My kids would burp n not want anymore & that’s when I knew they were full, is it bad to angek in another bite afterwards? I know this post is almost a year old, but it resonates the most with me right now. My youngest was trained to ignore full cues, and misled into hunger cues while in daycare. Even though we always said we didn’t care if she had a “Happy Plate” at lunch, she wanted the sticker for finishing her food so she ate beyond her full. Then they often gave them marshmallows/goldfish crackers or other simple carb to sit them in front of the TV in the afternoon to watch TV. Even though she hasn’t been in daycare for two years, she still says she’s hungry when she’s bored or tired. Even now in first grade her teacher is pressing the kids to eat all their lunch. The boredom is easier to distract, the tired often ends in a meltdown then asleep in exhaustion. She is my eater, and an adventurous one at that. She is effected by too many carbs and will become a vixen if allowed to have too many, especially overly processed foods which we try to limit, and she is overweight. 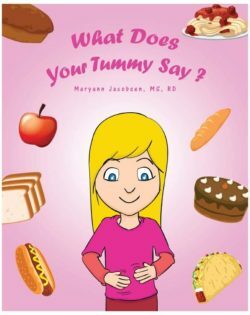 She wants to eat healthy and we talk about the nutrition of all foods, but how can I help her regain her intuitive mindset regarding hunger? I am with Ramona above! My kids are a healthy weight for now, but when they will eat till they are sick! Especially when it’s something they like. They sneek food and are first to look for food when they are bored. HOw can I help them regain thier intuitive mindset regarding hunger? My 8 year old is so picky and I am trying to do intuitive eating. Do I serve supper and not an alternative if he doesn’t like it?